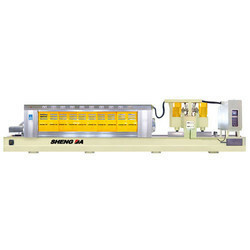 Prominent & Leading Manufacturer from Ahmedabad, we offer shengda granite line polishing machine. We are the renowned organization committed to offering optimum quality Automatic Shengda Granite Line Polishing Machine. Used for polishing marble slabs, the offered polishing machine is known in the market for its enhanced service life. Our vendor's trained professionals assist us to design this polishing machine as per the set industrial standards.